PlanetSlade's first book is now available for purchase from Soundcheck Books, Amazon and all the usual outlets. Just click the book's cover here or the banner ad above for a direct link to Soundcheck's orders page. 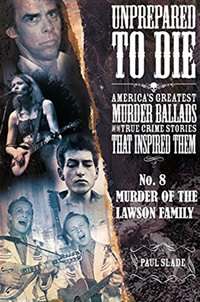 The book includes two new full-length exclusive essays covering songs never discussed on PlanetSlade itself: Poor Ellen Smith and Murder of the Lawson Family. I'm particularly proud of the Poor Ellen Smith essay, as I managed to trace a previously-unknown text of the song's first-ever lyrics and identify the 19th century mule thief who wrote them. I've also rewritten and expanded six earlier PlanetSlade essays for the book, adding a host of new musician interviews. These include Billy Bragg on The Lonesome Death of Hattie Carroll, The Bad Seeds' Mick Harvey discussing Stagger Lee and Ralph Stanley II on Knoxville Girl. We also have The Handsome Family's Rennie Sparks addressing Pretty Polly, The Kingston Trio's Bob Shane on Tom Dooley, Laura Cantrell on Poor Ellen Smith, Snakefarm's Anna Domino discussing Frankie & Johnny and Dave Alvin on The Murder of the Lawson Family. Again, this is stuff you'll find nowhere on PlanetSlade itself. We've got a number of events and promotions planned to help ensure the book finds its audience, so look for more announcements on that front soon. I'm planning to use the box copy to your right as a "Stop Press" section carrying all our breaking news. This is a hugely exciting project for me, so I'd really appreciate all the help I can get from the PlanetSlade Massive in spreading the word via every means possible. We don't have a big promotional budget for the book, so I'm relying on you guys to social media this sucker till the pips squeak. 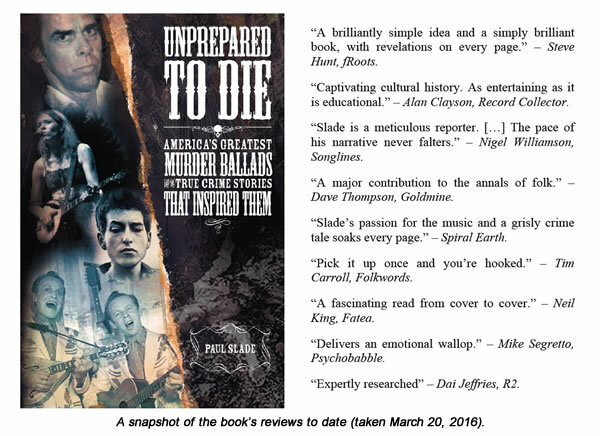 If you've ever enjoyed my Murder Ballads writing here on PlanetSlade, then please use Twitter, Facebook, Instagram and whatever other sites you frequent to let people know Unprepared To Die is out there. Please include a link to this page or my Soundcheck Books page whenever possible. Kindle reviews (US / UK) are always a big help too. You may also like to direct people to this section's Bonus Material page, which offers both a "DVD Extras" section for buyers of the book and some tasty teaser content for those yet to commit. I'm always happy to make myself available for interviews and the like, so if that's of any interest for your own blog, magazine or radio station, just contact me via the brown button at the top of this page. Finally, I need hardly add that I hope you'll buy a copy of the book yourself, and consider its many virtues as a Christmas present for all your friends. You know it makes sense! ITEM: Soundcheck Books has just added the option of buying single chapters from Unprepared To Die in the Kindle store at only £1.49 each ($1.85 in US). These include my book's two entirely exclusive chapters, which you can read nowhere else. Murder of the Lawson Family details a particularly grisly Christmas killing, while Poor Ellen Smith contains my scoop revelation of who wrote this deathless 1893 song. ITEM: My 2016 Halloween Special documentary for London's Resonance FM has now been safely archived on Mixcloud. That link will take you to the full audio. In this hour-long programme, I sketch out the true crime stories behind eight of my favourite Gallows Ballad Project recordings and play the exclusive tracks this project has inspired by The Jetsonics, Pete Morton, Fred Smith, Doc Bowling and many other contributors. We'd still love to have more musicians add their own interpretations of these splendidly bloodthirsty old songs. For details of how to do so, click here. ITEM: True Crime Library has another chance to win a free copy of Unprepared To Die on its website. It's a Johnny Cash question this time round, and the competition closes on June 6. 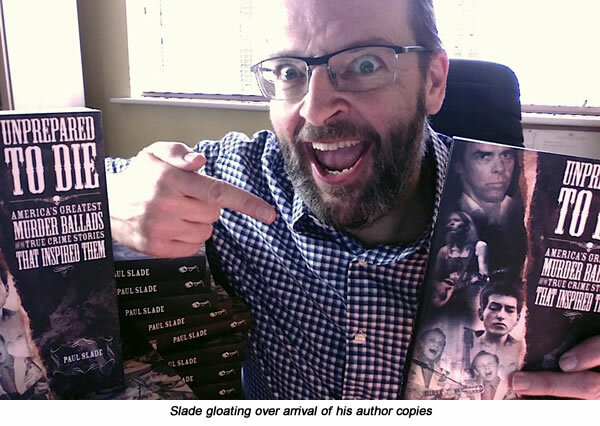 ITEM: Six songs from my book feature prominently in a new piece of PlanetSlade work by the Canadian artist Gerhard - best-known for his role on Dave Sim's Cerebus. Gerhard's "Murder Ballet" concept elegantly poses each kiler-and-victim couple as a pair of dancers, their music provided by an important musician in the song's history. In the detail above, for example, we see Pretty Polly with The Stanley Brothers. You can see the full piece in all its HD glory here, along with the story of how I came to commission it. 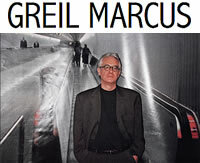 ITEM: "It's a dauntingly complete and fascinating piece of work," Greil Marcus says of Unprepared To Die. "I was particularly struck by the chapter on the Lawson family murders." ITEM: The popular culture website Zachary Mule has just posted a long interview with me about Unprepared To Die. If you're curious to know which one murder song disturbed me more than any other, then this piece has the answer. The Mule's Darren Tracy also reviews my book. "What a great read!" he says. 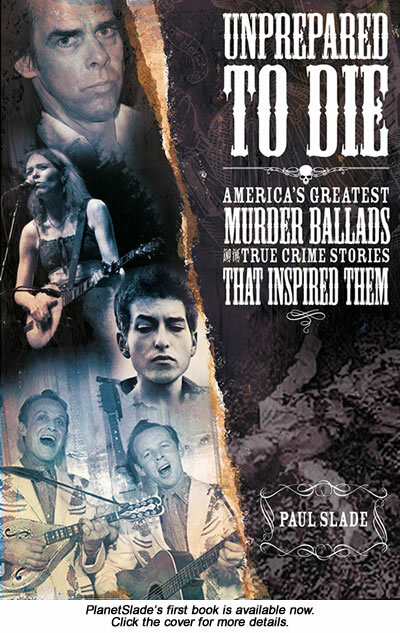 "Whether you're a music fan, a history fan or a true crime fan, Unprepared To Die should be right up your dark alley." ITEM: The Spring issue of R2 magazine carries Dai Jeffries' interview with me about Unprepared To Die. 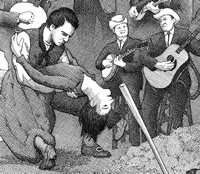 We discussed the roots of my fascination with murder ballads, my US research trips preparing the book and the fatal pull Murder of the Lawson Family exerts on all who hear the song. 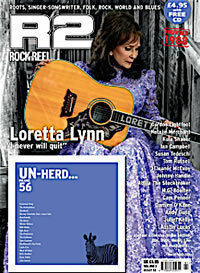 The issue in question is number 56 which, as you can see above, has the excellent Loretta Lynn on its cover. ITEM: True Crime Library, publisher of True Detective, Master Detective, True Crime and Murder Most Foul, has a free prize draw to win a copy of my book on its website. Entries must be in by April 6. The company's running a pair of competitions to win copies of the book too. 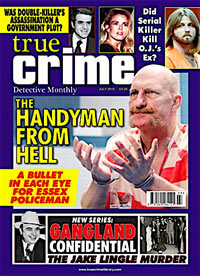 These appear in TCL's newsletter and in the current issue of True Crime itself. 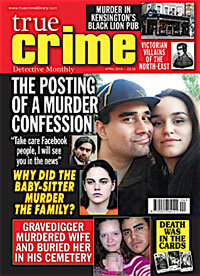 Look for the issue with an April cover date (shown above), which reaches the shops on March 24. ITEM: "A captivating cultural history. As entertaining as it is educational." That's Record Collector's Alan Clayson describing my book in his February 24 review for the magazine. Over at Songlines, Nigel Williamson was equally impressed. "Slade is meticulous reporter," he writes. "The pace of his narrative never falters and should send you back to the songs with fresh ears." Steve Hunt, writing in the April 2016 issue of fRoots, is also full of praise. "[It's] a brilliantly simple idea, and a simply brilliant book," he writes, "with revelations on every page". You can find links to all three men's full reviews here. ITEM: Jack Beard devoted his February 14 University of New Hampshire Folk Show to a playlist inspired by my book. He dug deep into the murder ballads genre, playing not only the classics, but also several recordings (and at least one song) which were entirely new to me. You'll also hear Jack read a few short extracts from the book itself. 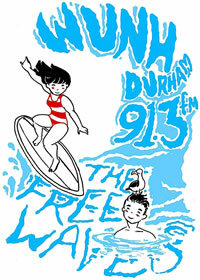 The full two-hour show has now been archived online at the WUNH website: Part 1; Part 2. 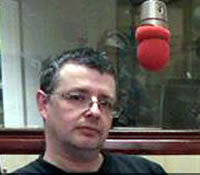 ITEM: Killer Songs, my hour-long radio guide to murder ballads, went out on London's Resonance FM on January 28. You can hear the programme archived online here (Mixcloud). The show features audio clips from my book's interviews with Billy Bragg, Ralph Stanley, The Bad Seeds' Mick Harvey and a host of other leading musicians. We also play 12 of my favourite murder ballads tracks, including contributions from Steve Earle, The Handsome Family and Snakefarm. There's a full playlist plus details of all my interviewees here. 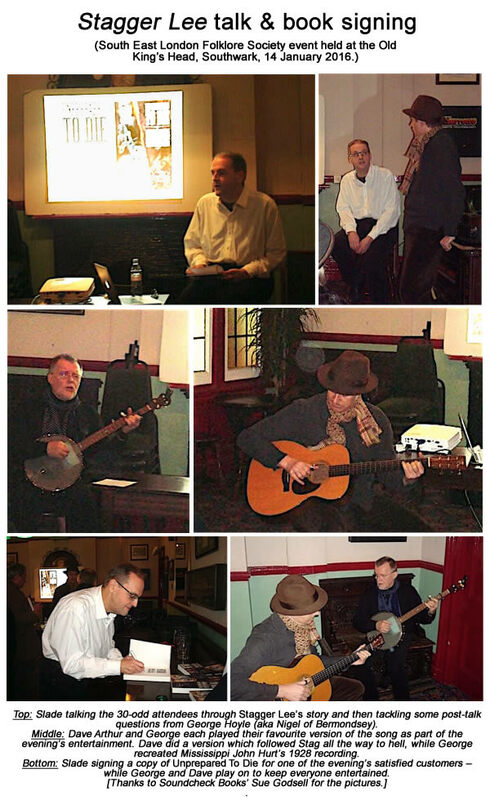 ITEM: I'm giving a talk about murder ballads at The Old King's Head in Southwark on January 14. It's a South East London Folklore Society event. We'll have copies of the book on sale there which I'll be delighted to sign or dedicate for you. Details and tickets from the SELFS link above. 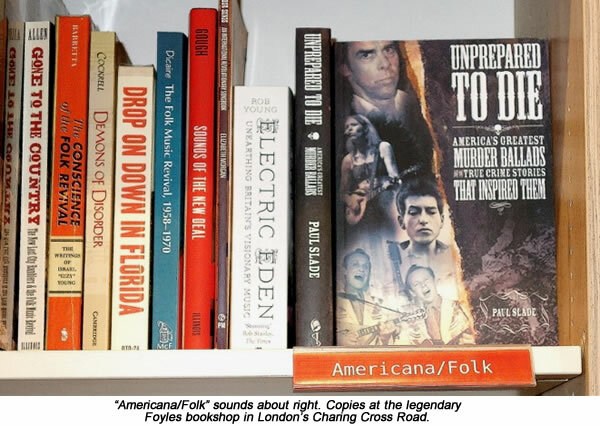 ITEM: "Unprepared to Die really is a fascinating read," says Fatea's Neil King in his December 18 review. You can find Neil's full comments here, together with your chance to win a free copy of the book in Fatea's competition. Psychobabble feels the book is "particularly fascinating when race is an issue", adding that it "delivers an emotional wallop". And R2's Dai James praises it for being "expertly researched". You can find links to all the book's full reviews here. ITEM: Genevieve Tudor and I discussed Knoxville Girl's UK roots on December 20's edition of her BBC Radio Shropshire folk music show. We talked about my work to confirm the real killer and victim's names, adding appropriate music from Waterson:Carthy and The Handsome Family to illustrate it all. The full show is archived here, and my segment starts an hour in. ITEM: December 10's Winston-Salem Journal carries Lisa O'Donnell's account of the book's North Carolina research trip in April and the Lawson Family work I did there. You can read the full article here. 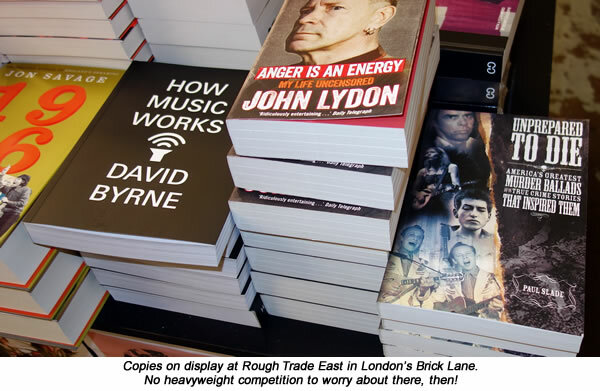 ITEM: The book's reviews have started coming in, with the three I've seen so far all giving it a resounding thumbs-up. 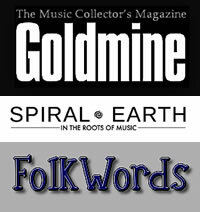 Goldmine calls the book " a major contribution to the annals of folk", while Spiral Earth says my passion for the subject "soaks every page like the innocent victims' spilt blood". FolkWords adds: "Pick it up once and you're hooked". Links to the full reviews appear on this PlanetSlade page. ITEM:Wayne Bledsoe of the Knoxville News-Sentinel devoted his November 20 music column to a piece about my book. 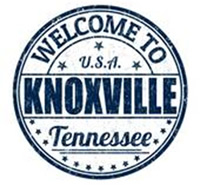 He and I spoke last week about my revelation that Knoxville Girl's real killer and victim can now be named, a bit of fresh information he was keen to pass on to the song's home city audience. You can read the resulting article here. ITEM: Blues and Roots Radio devoted a special hour-long documentary to my book on November 14. 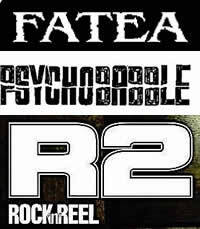 The show, hosted by Fatea's Neil King, is archived for your listening pleasure on this Mixcloud page. As well as my own answers to Neil's questions on murder ballads, you'll hear some excellent examples of the songs we discuss from Steve Earle, Lloyd Price, The Handsome Family, Laura Cantrell, Dave Alvin, Bob Dylan, Billy Bragg, Estil Ball and Snakefarm. ITEM: I've just posted a seven-minute YouTube video, based on the book's introduction, explaining why it needed to be written and how I came to be so obsessed with these gory, fascinating songs in the first place. Watch it here, and please share the link with your friends. ITEM: Sing Out! 's Murder Ballad Monday website has just posted a long interview questioning me about every aspect of the book. It's the MBM blog entry dated November 9, 2015, and you'll find it here. ITEM: This month's fRoots magazine carries an exclusive extract from my book, discussing the unexpected origins of Poor Ellen Smith's ballad. Look for issue 390, cover-dated December 2015, with a picture of Andy Irvine on the cover. 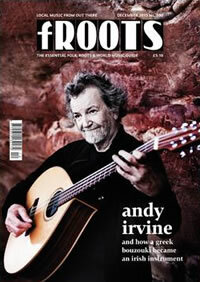 The magazine's subscribers can read the full article online via this page of the fRoots website.